SURPRISE! The newest addition to our family made an early arrival the end of January and he just came home from the hospital this week! As you know, my last “baby” post was inspired by my sis being pregnant and it was all about useful gifts for new moms. But now that my nephew is here, I can’t stop oohing and awing over all the cute baby products! It’s nothing new that Scandinavia is known for their modern, simplistic and super cozy interiors; so it’s no surprise that their baby game would be anything less but adorably chic. 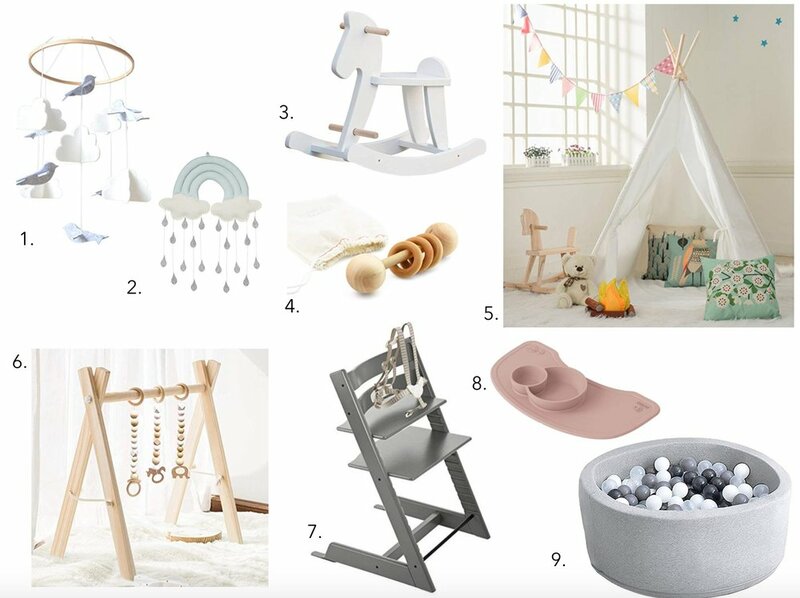 From the baby boutiques that I can’t seem to not pop into in Aalborg , here are just a few items you would most likely see in a Danish home with little ones ♡.